“The county has hundreds fewer employees than we did years ago. We have moved out of about 300,000 square feet of building space to more efficient, more compact, less costly space. 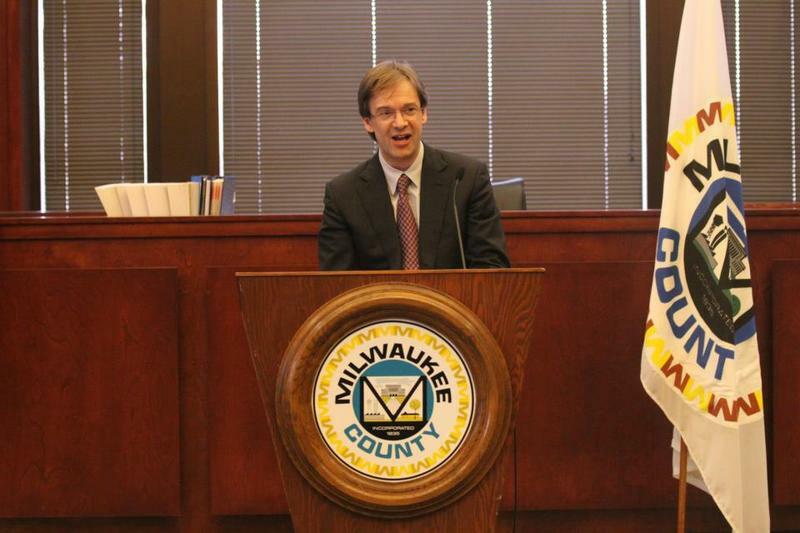 We’ve trimmed benefits it many places, which has saved millions,” Abele says. Abele says many cuts have been made and efficiencies found, and now it's time to tackle the revenue issue -- in light of a major drop in state funding. He says 10 years ago, the county received $341 million in shared revenue payments, compared to $170 million in 2015. Abele says state lawmakers have also taken away the possibility of raising the sales or property tax enough to fill the gap. He says his budget relies heavily upon a $30 increase to the wheel tax because it has to. Abele adds that while some people have proposed cuts to services, those cuts would be detrimental. “By cutting services now, about the only way it happens is in a way that is going to be dramatically impactful for the people we’re serving. It’s going to mean a lot less services, a lot more delayed road repairs, cuts to public safety, to parks to job programming, to transit, the zoo, the airport. And they’re going to have to keep making cuts until we address the revenue and I’d rather address it head on,” Abele says. Abele says that while no one wants to pay more money than they have to, there’s more support for the $30 hike than people might think because they prefer it, to the alternative. However, Milwaukee County Board Chair Theo Lipscomb disagrees with raising the wheel tax to $60 and he says most voters do too. “For the second year in a row, the county executive has built his budget around a $60 wheel tax, which was reject by 72 percent of voters in a referendum just this year,” Lipscomb says. Lipscomb says the will of voters needs to be respected, which is why he says he’s the county has to cut expenditures. He’s asked every county agency to look for cuts and he says those cuts do not have to impact services. “They should evaluate their top heavy management. They should evaluate their contractors and the extent to which they outsource services and see if there are areas where they could trim before impacting services .You know it’s important to understand that the expenditure reduction we’ve asked for is less than 1 percent. We’re talking about a 0.75 of 1 percent reduction,” Lipscomb says. Under Lipscomb’s budget, he says there are a handful of road projects that would be delayed, because they would have been funded with Abele's proposed new wheel tax dollars. Rob Henken is president of the Public Policy Forum. He says an argument can be made for both cutting spending and raising more revenue, but he says the answer is likely both. “I think a case also could be made for compromise. Perhaps a $30 increase in the vehicle registration fee is too onerous. On the other hand, delaying more capital projects and transit service and making other cuts across departments, those may be onerous as well. So the question we would at least ask is is there a logical compromise of perhaps a smaller vehicle registration fee and cuts that are not as severe,” Henken says. Henken says that while the county has been moving in the right direction, the structural deficit remains because of rising health care costs, and the county's pension obligations. The county board will vote on the budget today.